It is very important for your online sales that your website can convert visitors into customers – and this requires a well-organized shop. By having a webshop your local business becomes global thus a webshop is an essential part of your business. It may seem like a major project to set up a professional webshop, however, Mono enables you to set up your professional webshop in only few clicks demanding no technical or design skills. 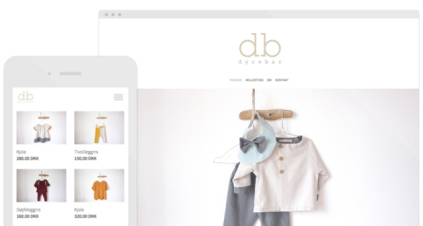 In this blog post we will give you a how-to guide to get you started with your Mono webshop. You will learn how to structure and layout your shop, create products, set up payment gateways, receive and process orders and much more! Ever wonder how Google serves extensive results for some local businesses by including their opening hours, address, and more? And do you want to know how customers can find the same detailed information when looking for your website? The answer lies in something called ‘Schema.org microdata tags’ and the good news is that you can easily reach all the benefits of microdata with the mono tool without knowing how to code. We’re proud to say that mono’s responsive design is more than your average responsive design giving you a lot of flexibility while making site management much more effective. This post will tell you all you need to know about getting your mono site up and running in responsive mode and how to use it to fit the needs of your business. The mobile revolution has reached a point where most businesses know that the key to future success is adapting to and optimizing for the mobile consumer. In this blog post we present you with some of the most interesting mobile trends to watch in 2014. Experienced mono users have probably already discovered the many cool features the mono tool offers to make website building easier. But just to make sure everyone gets a taste of the cake, we have gathered 10 interesting things you should know, too! Many of you are hopefully using email marketing to market your business. This week, we would like to share some helpful insights to how you can easily improve your email opening and click rates! This week we would like to tell you a little more about our new Global Data functionality that was launched with our new design team D4. Note that it also works with D3 designs but let’s be honest, D4 skins are just so much better! Global Data is especially beneficial for those of you who have somewhat complex websites but it can definitely also come in handy with smaller sites. Google+ should no longer be thought of as ‘just’ another social network. It’s increasingly proving itself to be an integral part of SEO and social signals, helping provide a more personalized search experience for users. Make it easier for your customers to find your business with these six simple Google+ tips. Introducing your biggest mono resource - mono Academy. Learn everything, and we mean everything, you need to know about how to create professional and successful websites with mono. mono Academy includes best practices on how to create, design and promote your online presence with real site examples. As you hopefully know, our brand new D4 Design is now live and is a whole new generation of mono Design. But did you also know that D4 comes packed along with 14 new, fantastic modules? To make sure you get a taste of all the new features available, we’ll use this post to take you on a tour around these awesome new modules. D4 Design is completely modern and the biggest improvement to mono design, ever! So what's new and how do you find the best new D4 design for your site? This blog post discusses D4 design in a little bit more depth and how you can find a totally new, fresh look for your site. We’re just so excited that we couldn’t resist breaking our “silent” beta launch of our new design system called D4. Some of you might already have noticed a few new modules in mono tool and perhaps also the D4 design skins. While there will be a lot of detailed information to follow in the coming weeks here’s a brief summary. We've recently discussed how to use mono's custom Facebook page app but what about other apps? We've got three additional ways for you to use Facebook Apps that will help build your social presence and drive customers to your site! When getting started with SEO, you need to choose the keywords you'd like to optimize for on your site. But what makes a good keyword? How do you go about finding the best keywords for your business? This post discusses the art of finding keywords that will drive qualified and relevant traffic to your site. Search Engine Optimization (SEO). Everybody talks about it, but only a few know how to get to the top. If you want a professional web presence, you have to know your way around SEO. Luckily there are a few easy things any small business can get started with to quickly improve rankings. We know that our users sometimes need help with their mono sites or just some good advice on how to get started. Therefore we are very happy to present our new mono Support Center! Attention local business owners! It's time to drop traditional and expensive marketing channels and exchange it with targeted, local online marketing. Local online marketing will help save resources and is a much more effective way to attract customers. This post explores the value of local online marketing and how you can get started. Have you tried out the HTML module for your mono website yet? If not, you are missing out! There are almost no limits to what you can create with this great module. For inspiration, we’ve put together a few examples of how you can use it to make your site more visual, interactive and unique. Enjoy! No matter how experienced you are with the mono tool, there may be some interesting features you haven’t explored yet that could really improve your website. This post offers some inspiring insights into how you can boost your web presence with a few simple adjustments. In this blog post we focus on some of the small things that can easily improve your social media presence to round up our series of posts about Social Media for Small Business. We have prepared 6 useful tips and tricks including 7 great social media tools for you to get started with! As promised, we will take you a little deeper into the world of Facebook to help you find success with the world’s biggest social network. Facebook is a great place to meet your customers if you don't have resources to be active on many different social media sites or just want to reach a broad audience. In the latest installment of our Social Media for Small Business Series we offer you some simple steps to get started with Social Media for the first time. We know you're busy so we wanted to keep it as simple as possible. We also briefly list the major social networks and their differences so you can choose the right channel(s) for your business. In our Social Media for Small Business Series we’ll help you understand why social media is important, how to get started, and share tips and insights on specific social media outlets particularly beneficial to small business. In this article we’ll start by explaining the fit for social media in small business. Have you ever thought about what makes you stay when you visit a website? And how did you find the site in the first place? There are many things to consider in creating a good site. Read some of ours and feel free to share some of your own!